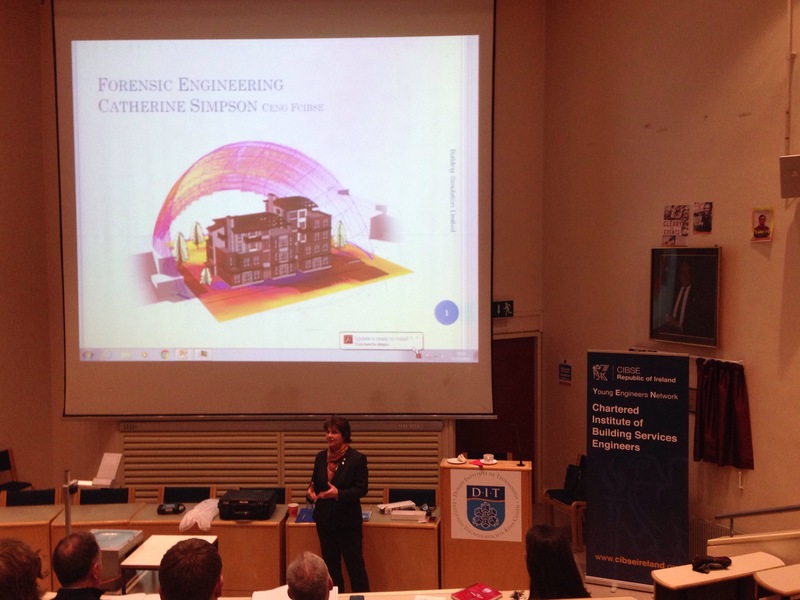 Catherine Simpson is here at DIT tonight describing the research she does as a Forensic Engineer. You can also call her an expert in thermal modeling and a Building Services Engineer. Catherine gave an example of a shopping mall that had a very windy atrium and a very steep heating bill. No one could identify the causes of these problems. But after six years experiencing these problems, the owners called her in. With careful analysis of data she collected (using dozens of different routes, including studying air flow by blowing bubbles in crowded spaces where smoke tests couldn’t be used) she identified a number of problems. One was a poorly placed rotisserie oven that was triggering vents to open. Another problem was that the building controls “thought” the building’s vents were completely closed when many were only partially closed. 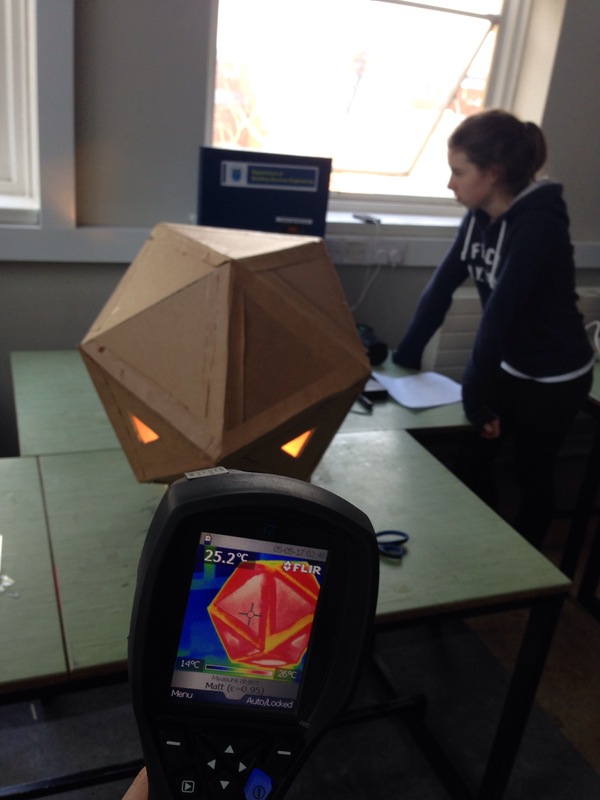 Catherine devised a £50k solution to closing the vents in winter that is saving the owner £60k every month, in heat alone. There were reduced wind drafts and reduced tenant complaints. She says it saved about £500k in capital and restored people’s confidence in the facility. Catherine’s work involves fixing problems and also providing expert witness testimony. Forensic engineering seems fascinating! Catherine is a veritable Nancy Drew. Forensic engineering, she says, is like a jigsaw. You’re given clues, you find evidence, simulation gives context, you test theories, and ultimately prove a solution. She obviously loves her job!